There’s an old saying in customer service, “We offer three kinds of service, fast, good, and cheap. You can pick two.” In general, it is probably fairly accurate, you usually do have to make tradeoffs when buying products or getting service. It’s rare that you get everything you want at once. Fortunately, telemedicine is an exception. Adding video visits to your practice lets you serve patients faster, provide better customer service, and reduce the incidental costs associated with an in-person visit. You’ll increase practice profitability and bring flexibility to your schedule and your patients will love you for it. Video visits take less time to conduct than in-office visits. This means that each provider can see more patients each day, helping the practice to maximize its most valuable asset, provider time. The office staff also saves valuable time because the number of check-ins and rooming’s is reduced. This frees them up to do other work or to spend more time with the patients who do come into the office. This means that telemedicine has the potential to increase the satisfaction of patients who don’t even use it. Telemedicine is also faster for your patients. They don’t have to spend a single minute more than the actual encounter. No more travel time to the office or sitting around in waiting rooms. Offering video visits is a signal to your patients that you value their time as much as your own. Modern telehealth systems and video visit platforms make it possible to offer the same quality of care as an in-person visit. Patients can be assured that they will receive an accurate diagnosis and effective treatment plan. In fact, studies have shown that telemedicine can actually improve patient outcomes, reduce hospital readmissions, and effectively treat a wide range of mental, as well as physical conditions. The best telemedicine solutions offer a great experience for clients. They can easily request an appointment online and receive helpful reminders. The software is easy to use and can be installed on the devices they use every day. Customer service is available right in the app so help is always available if needed. Although many patients may not be aware of it, many video-visits are eligible for insurance reimbursement. In fact, thirty states require that private payers reimburse for telemedicine, sometimes requiring the rate be the same as an in-office visit. More states have similar legislation pending. In addition, many major insurers have realized that telemedicine is a cost-effective channel for healthcare delivery and have decided to reimburse for it even in states where it is not required. We recommend looking for a telemedicine platform with built-in and guaranteed insurance eligibility verification. Video visits also reduce the cost of care for patients by eliminating the incidental costs associated with going to the doctor. Missed time from work can result in the loss of pay or precious paid time off. That’s not necessary with a telehealth visit. There are also costs associated with travel like gas, wear and tear on vehicles, public transportation, parking, etc. For parents, child care can be an extra expense that is unnecessary when a visit is done over video. 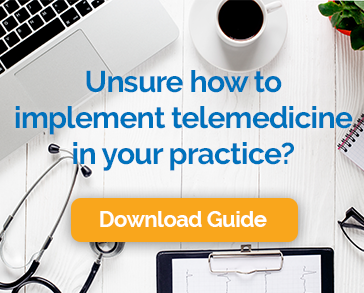 A study by the University of California at Davis in Sacramento found that collectively, telemedicine could save patients nearly nine years of travel time, five million miles traveled and $3 million in costs. “Our findings confirm the benefits of telemedicine in terms of real savings to patients and to the environment. Our goal of telemedicine is not to save the health care system money but to improve patient care, and I believe it does this,” said James Marcin, chief of the UC Davis Division of Pediatric Critical Care Medicine. Stephen Abgoola, with Connected Health, an innovation and IT-focused Department of Partners HealthCare summed up the value of telemedicine in improving patient satisfaction this way, “The evidence supporting the role of telemedicine is strong. Studies have shown that telemedicine promotes continuity of care, decreases the cost of care, and improves patient self-management and overall clinical outcomes… Telemedicine can also help in identifying and preventing treatment-related errors between clinic visits.” That’s a good argument for the fact that, in the case of telemedicine, patients and providers can both have it all.